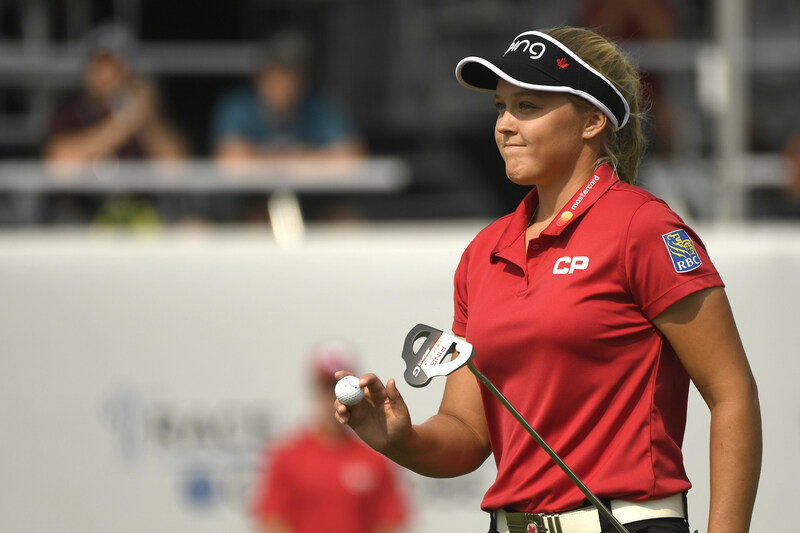 Golf Canada is pleased to announce the 18 athletes who have been chosen to represent Team Canada as part of the 2018 National Amateur Squad and Development Squad. In all, eight athletes comprise Team Canada’s National Amateur Squad including four players on the men’s team and four on the women’s. The 10-member Development Squad will include five women and five men. New in 2018, the National Development Squad program will feature a centralized component, which will be based out of Bear Mountain Resort in Victoria, B.C.—Team Canada’s official training centre since 2015. The program will send Development Squad athletes to Bear Mountain from February through to early June to be immersed in a focused centre of excellence, surrounded by world-class technical coaching staff and experts in the areas of mental performance, physiotherapy, biomechanics and nutrition. 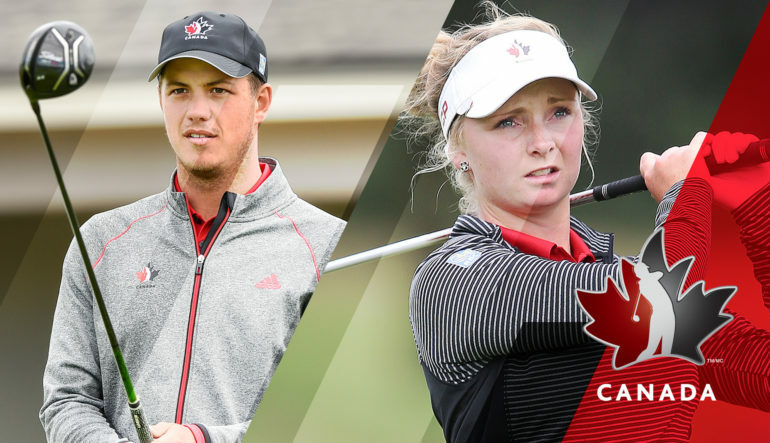 The change in program structure and commitment to a centralized training environment over four and a half months of the year are designed to better support emerging talents as part of Golf Canada’s next generation strategy. The number of days that Development Squad athletes will spend in a world-class training environment will increase from approximately 30 (in the current structure) to 120 in the new program. In addition to the world-class facilities available at Bear Mountain, athletes will have access to one of the best training centres in the country just 10 minutes away – the Pacific Institute for Sport Excellence. For accommodation, Development Squad members will be paired with billet families in the region to provide safe, supportive home environments for training and study throughout the program. All potential billet candidates will undergo a screening process with Golf Canada. Athletes will be enrolled at Belmont Secondary School in Langford, B.C., where they will attend classes in the morning, followed by training in the afternoon. Team members will also be assigned a teacher from West Shore Distributed Learning Centre, where they will take online courses and receive advanced credits for their sports training. Academic commitment will remain a cornerstone of the Team Canada program with Golf Canada coaches and support team working closely with the teaching staff to ensure success in and out of the classroom. Bear Mountain Resort has served as Golf Canada’s national team training centre since 2015. In addition to world class amenities and accommodations, the resort features a 36-hole Nicklaus design golf course located on 836 acres with spectacular mountain vistas and views of British Columbia’s seaside capital city. Team Canada Coaching Staff Announced…. Golf Canada is pleased to announce the 2018 Team Canada coaching staff that will support both the National Amateur and Development Squads. On the women’s side, Tristan Mullally of Waterdown, Ont returns as Women’s Amateur Squad Head Coach. Matt Wilson, from Newmarket, Ont., will oversee the Women’s Development Squad. 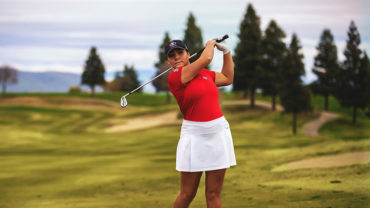 Wilson, who also works as Golf Canada’s director of next generation performance, takes over for long-serving Women’s Development Squad coach Ann Carroll who will be taking a new step in her coaching career. Derek Ingram of Winnipeg, Man. returns as Men’s Amateur Squad Head Coach. Robert Ratcliffe of Comox, B.C. will be leading the Men’s Development Squad. The 2018 Young Pro Squad team selection is expected in December.